Vincenzo Positano has obtained a MSc degree in Electronic Engineering in 1992 at the University of Pisa. Since 2009 he works as Senior Scientist at the Bioengineering Department of the Fondazione G Monasterio in Pisa. His research activity is mainly focused on cardiovascular magnetic resonance image analysis and multimodal cardiac image fusion. Since 2003 he is Adjunct Professor at the Department of Information Engineering (Biomedical Engineering Sector) of the Pisa University, holding the course of Medical Image Analysis. He has served as supervisor for more than 30 Master Theses. In the last ten years, he took part of the MIOT/EMIOT project (Extended Myocardial Iron Overload in Thalassemia) as member of the operating committee and developer of the HIPPO MIOT software used in the study. He is the Principal Investigator of the VIVIR project (Virtual and Augmented Reality Support for Transcatheter Valve Implantation by using Cardiovascular MRI), funded by the Italian Ministry of Health. 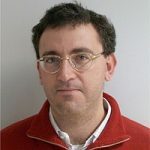 Vincenzo Positano is author of more than 120 peer reviewed journal papers spanning from basic to clinical-oriented image analysis problems mainly focused on the cardiovascular district.